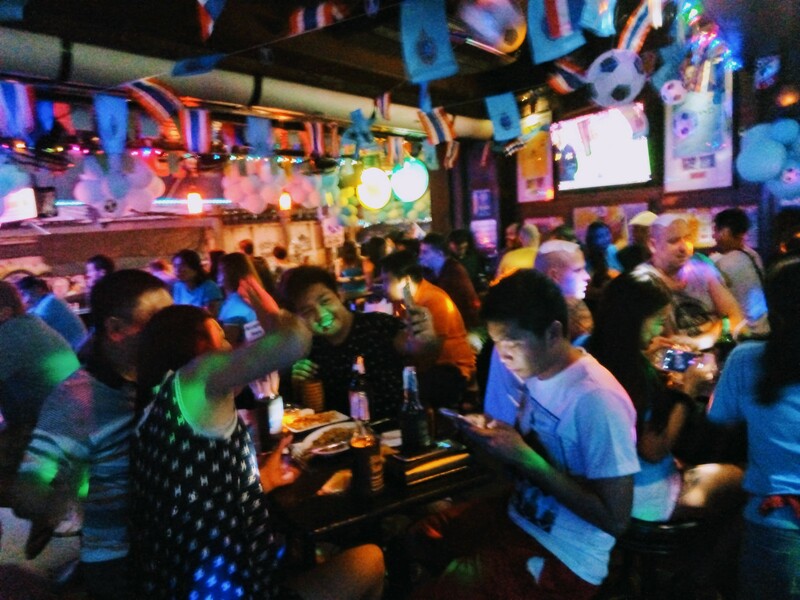 I’d seen it mentioned in travel guides but, frankly, didn’t quite grasp the point of it until I spent time in Bangkok – most notably on Sukhumvit avenue and its early sois. People watching, that is, sit at a bar, order a beer, and watch life go by on the street. Which, in the stretch between Nana and Asoke skytrain stations, means a parade of the most bizarre human types, fitting for a casting of Noah’s Ark 2.0. Do it during happy hour and you’ll sure get more value for your buck; better, you’ll see the night fall and the street stalls rise: cooked food, souvenirs, replica football shirts and cheap electronics. Party-lust Indians jam-packing a tuk-tuk en route to some bar on soi 11. Scantily clad 6 foot tall ladyboys walking alongside Islamic tourists in burkas. A lady-with-baby begging for some change half-heartedly, sitting with her back resting against a lamp-post. Farangs on the sunny side of 60 holding hands with skinny Thai females in their twenties. Freelancers on their way to soi 4, checking their make-up with the aid of their mobile phones. Families – yes, believe it or not, the odd Western couple with their children taking in the polluted air and craze as if they were walking on a quiet, clean boardwalk overlooking a Mediterranean beach. I check the time on my mobile. It’s almost 8 pm -the end of happy hour- so I wave to the waitress. “Make it another pint”, I gesture.